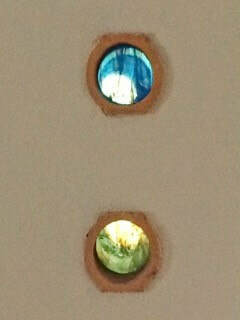 We have been recently commissioned on a small project to provide coloured light at the end of four small "tunnels". These are tubes set into a former outhouse wall. 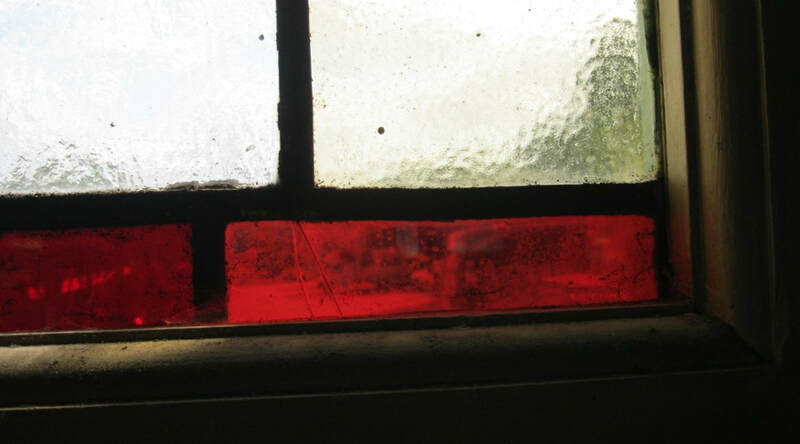 The building is being upgraded to form a holiday let cottage and the pipes are being retained to bring a little bit of coloured light and interest to the interior. We have worked with our clients to choose the glasses. 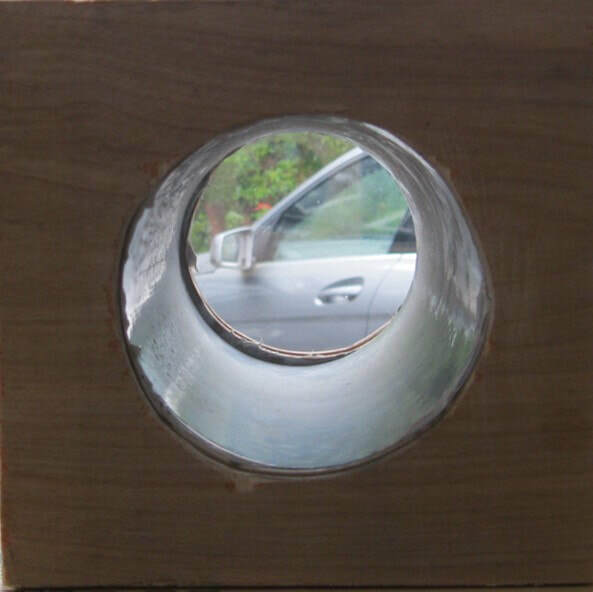 To help visualise the outcome and choose the glasses, a special jig was built to model the "tunnels". Each tunnel (approx. 11 cms in diameter) will have a have a piece of transparent, Artique, textured glass on one end (four different colours) while on the other end will be a wispy transparent glass, again four different ones. The colours have been chosen to provide a transition going up the way from the lightest combination at the bottom, to the darkest at the top. The pictures below show how it is supposed to work. Left to Right: one clear textured glass at the rear, streaky glass added to the front slot, shot of one of the chosen glasses, Spectrum SP339-1S. Watch this space for photos of the outcome! 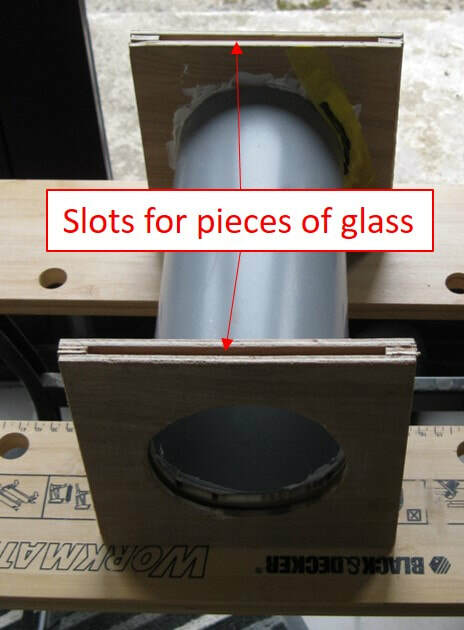 The glass has now been cut to size and installed. First pictures,. courtesy of the clients, below. 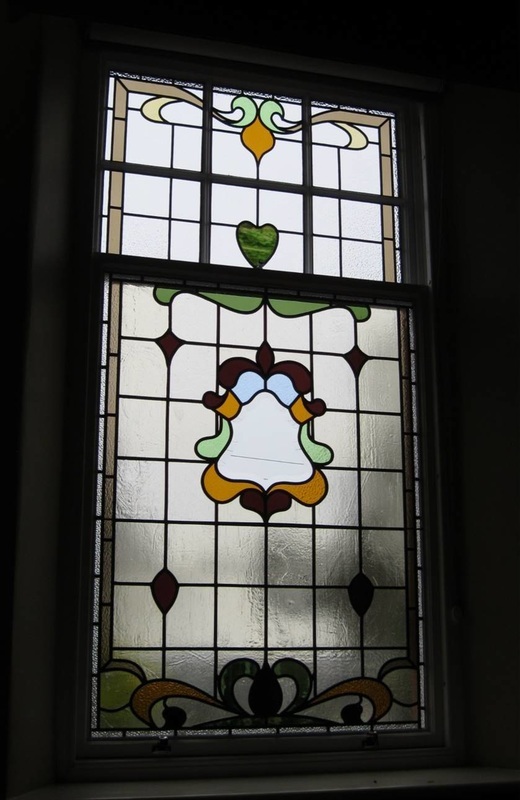 Extensive restoration work was planned on a hall in Aberfeldy, which had damage to two stained glass windows, one at either end of the hall, comprising three panels each. 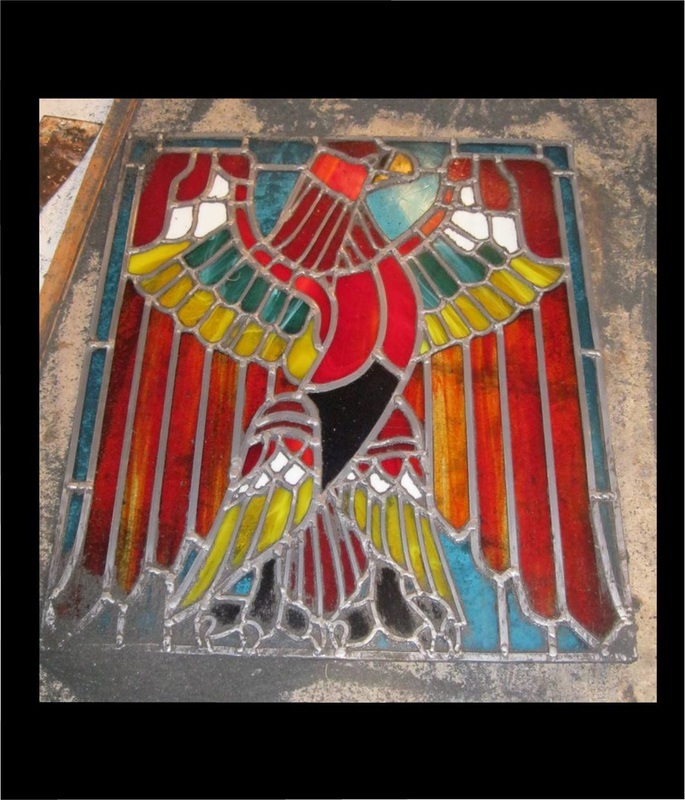 Pat volunteered to repair the glass panels as part of the overall project. It was considered not practical to remove the panels from the building, so the repair had to be attempted in situ - a first for us. 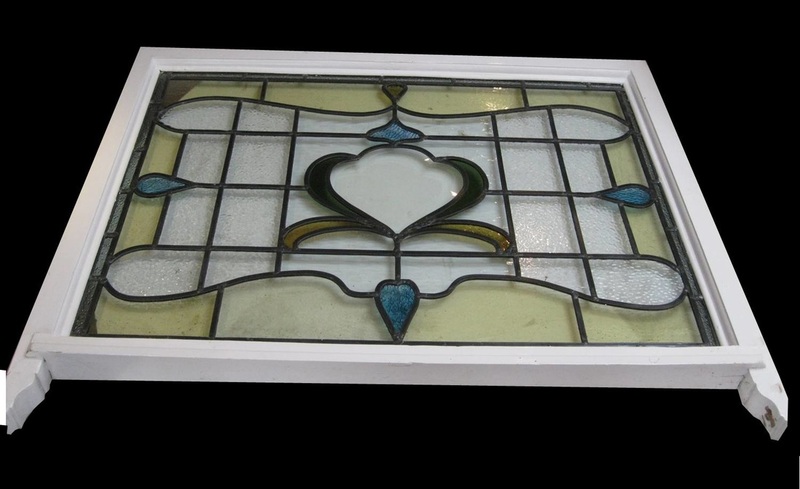 In total 13 pieces of glass had to be replaced and re-cemented. 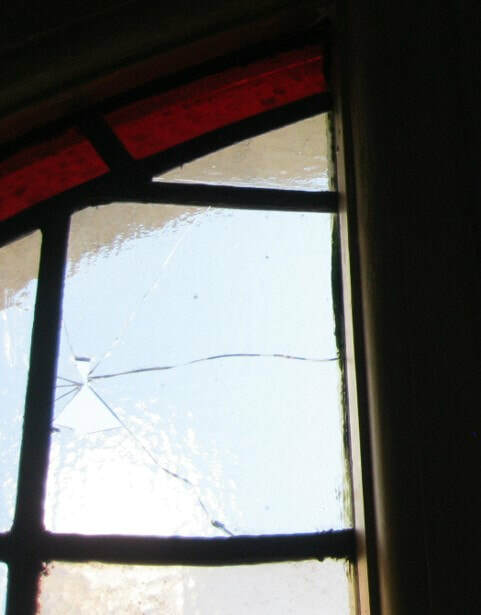 12 were broken or cracked or had been inappropriately repaired in the past, one had to be replaced because it broke in the course of removing the piece adjacent for replacement. 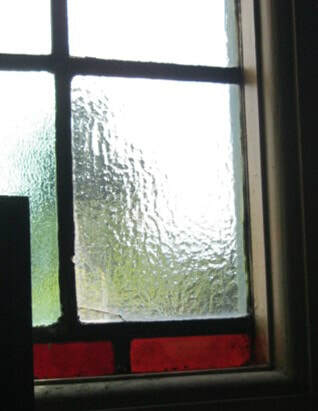 Although the existing lead is coming to the end of its life, it would not have been possible to replace this on an in situ repair. The pictures show examples of the damage. Once complete we will add pictures of the finished repairs. 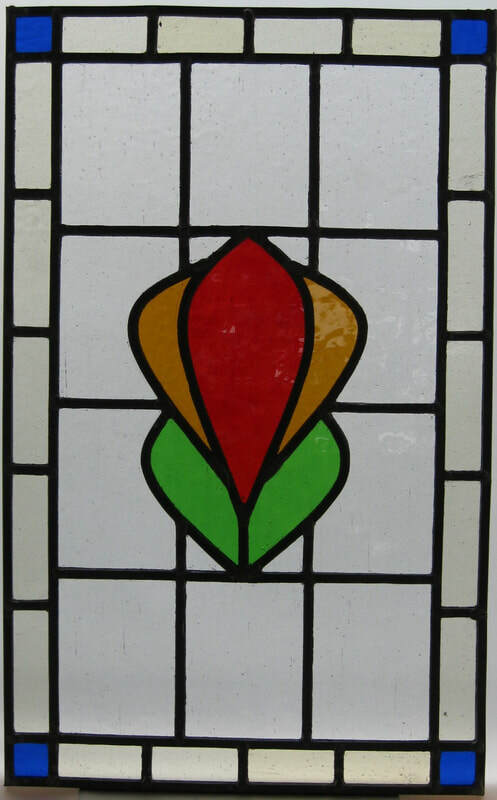 Design was completed in October, the glass chosen and ordered, the drawings printed. However, glass cutting did not begin as soon as I had hoped. 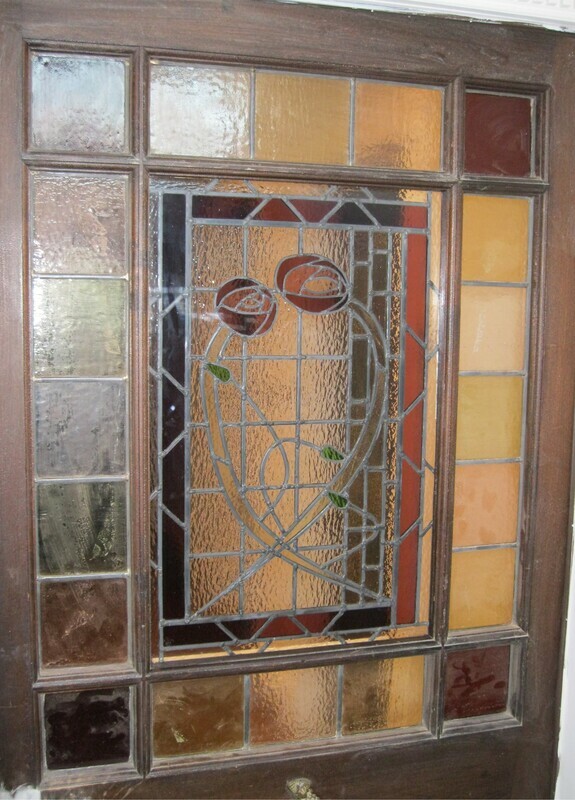 These two panels, inspired by the work of Charles Rennie Macintosh, are to be placed in the door between the restored cottage and the new porch. 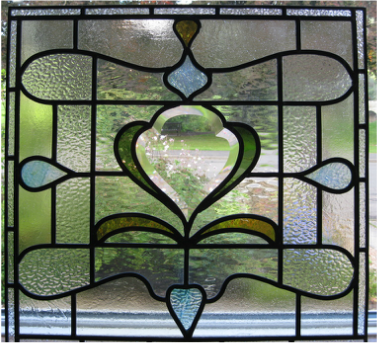 Work on the cottage restoration and getting the letting business established got in the way and work did not begin on cutting the glass until the middle of April 2017. However, today, Friday June 16th, the panels are essentially finished. No doubt there will be a little more cleaning and polishing, but essentially done. Now we just need to get them installed. 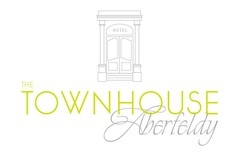 Taybank Glass were commissioned to make 10 leaded panels as part of the restoration of a Grade B listed building in Aberfeldy - the former Palace Hotel - now restored and re-opened as The Townhouse, Aberfeldy. 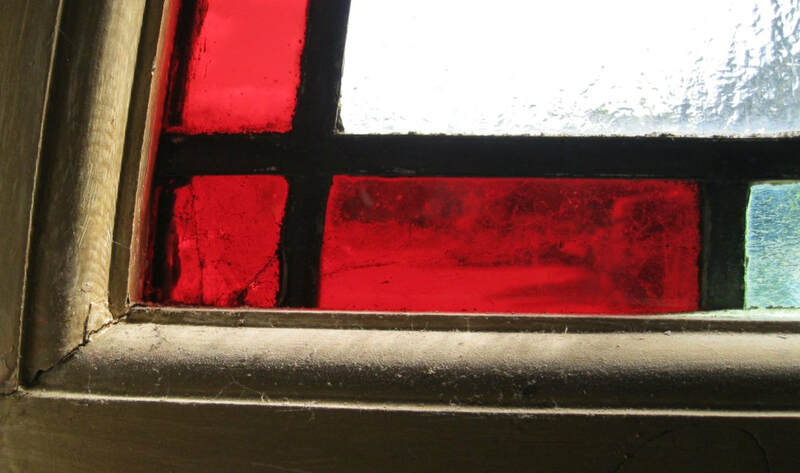 Of the ten panels, only three damaged windows were available to us to attempt to restore. The largest panel had been so badly damaged it had been scrapped. This had to be reproduced based on photographs alone. 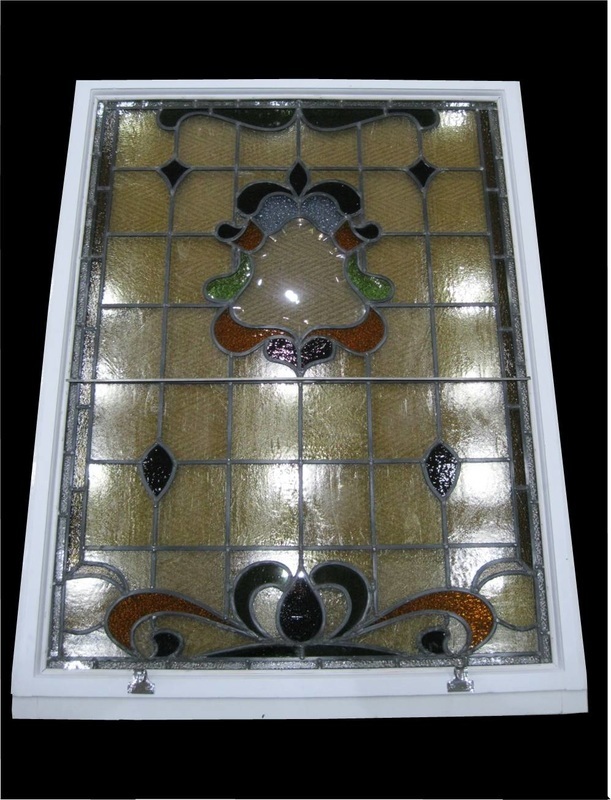 The three existing panels were disassembled and as much of the original glass as possible was recovered and re-used. 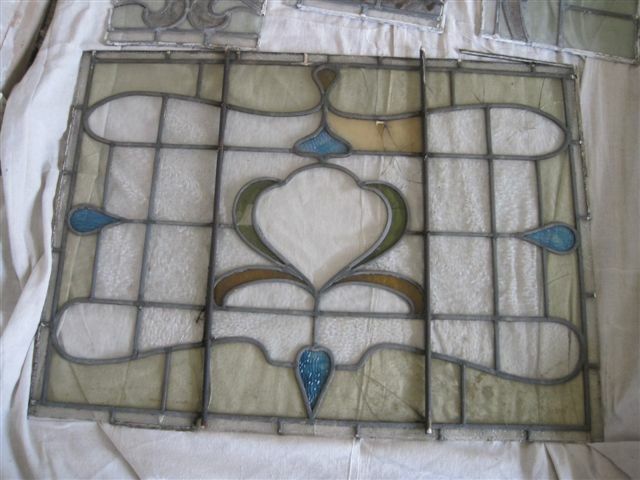 This included gluing together some pieces of blue glass that we could not match with a modern equivalent. 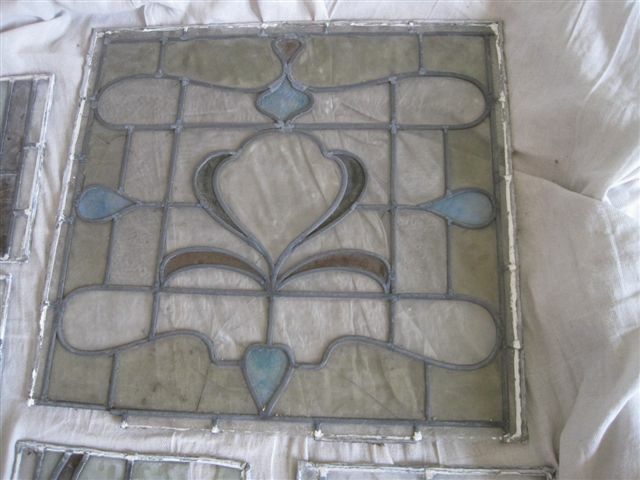 Panel 1 complete, before fitting into its original sash. 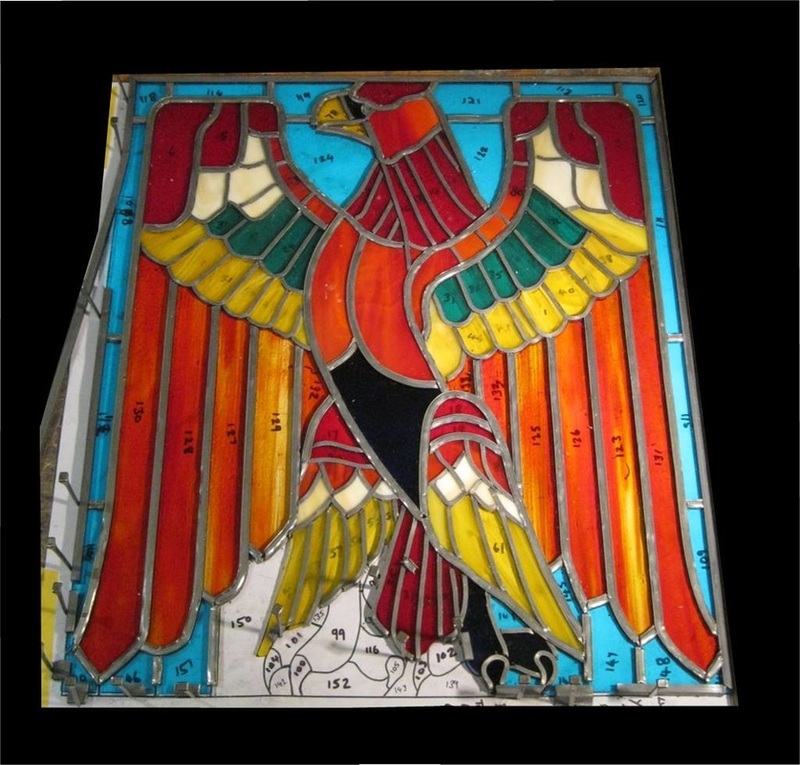 Panel 4, as it was on recovery from the former Palace Hotel. 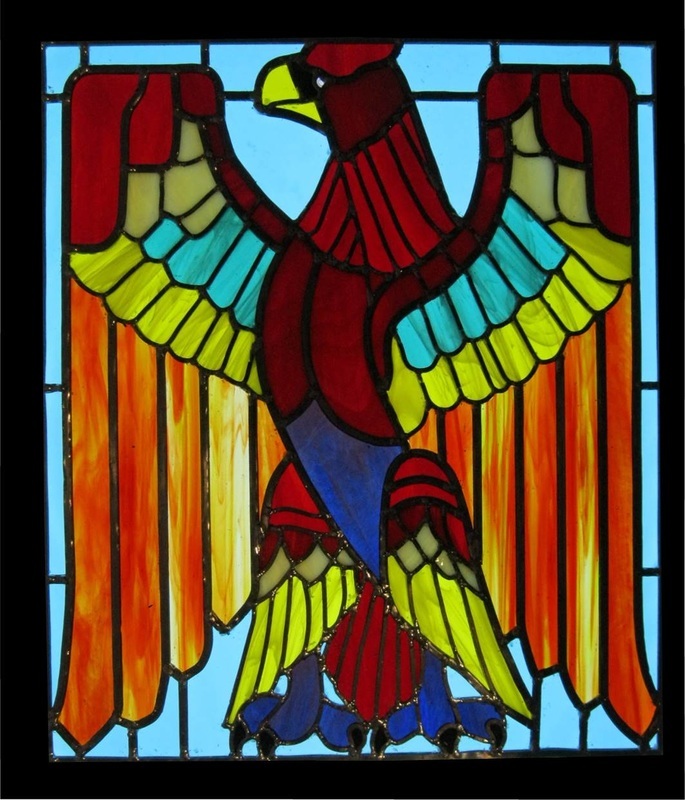 My most recently completed project was the Phoenix. 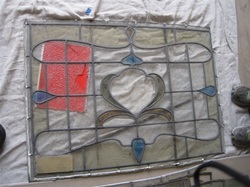 This had been intended to be mounted in a Victorian style fire screen on completion. Being busy over Christmas it "rose from the ashes" slower than expected. Now complete aside from framing. Construction and soldering complete, first impression of what the finished panel might look like. Picture taken on the light table allowing the colours of all the glasses to be seen for the first time. 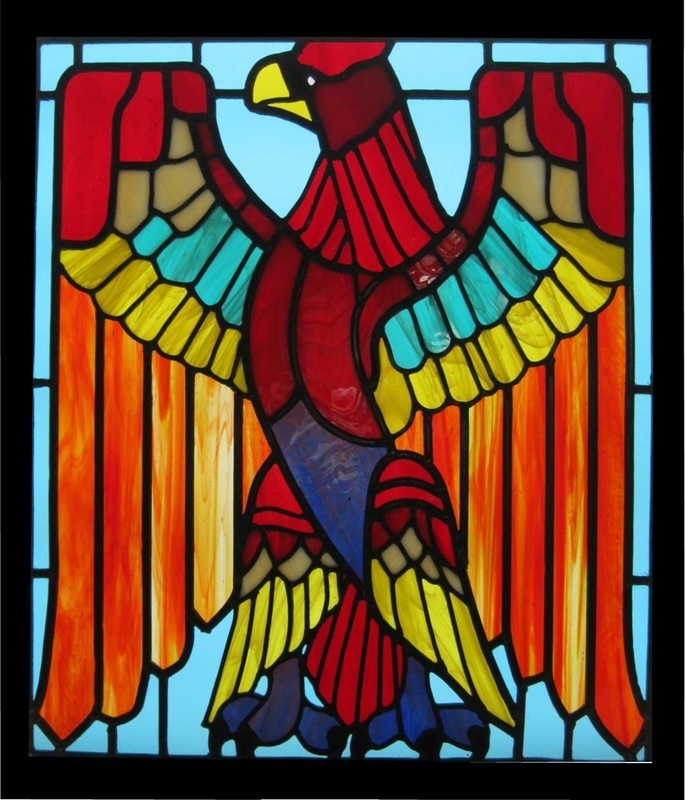 Phoenix back in the ashes! The next stage of cementing is underway. The nice shiny Phoenix is buried in "ashes" (soot among other things), during the cementing phase. Working towards the final rising and shining, when cementation and polishing is complete. About a week to go. 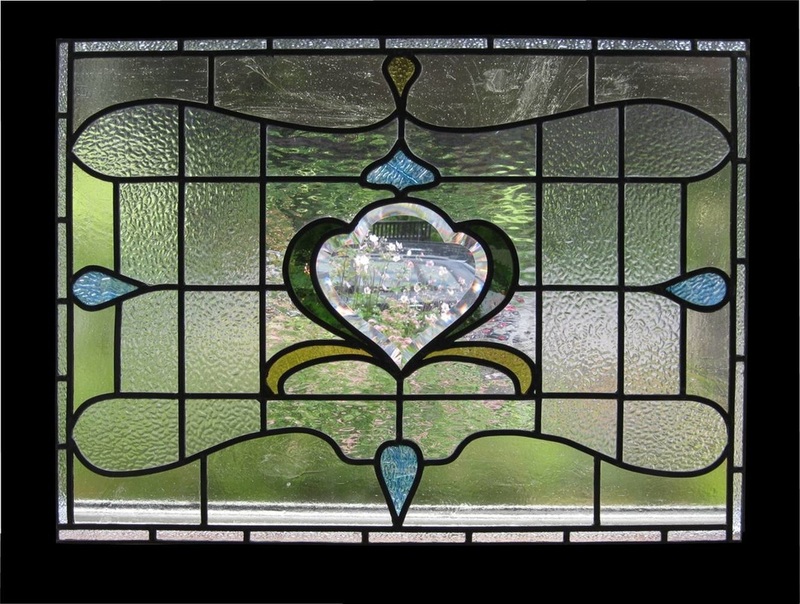 I recently completed my latest project - three panels for a family, who are home owners in the Aberfeldy area. 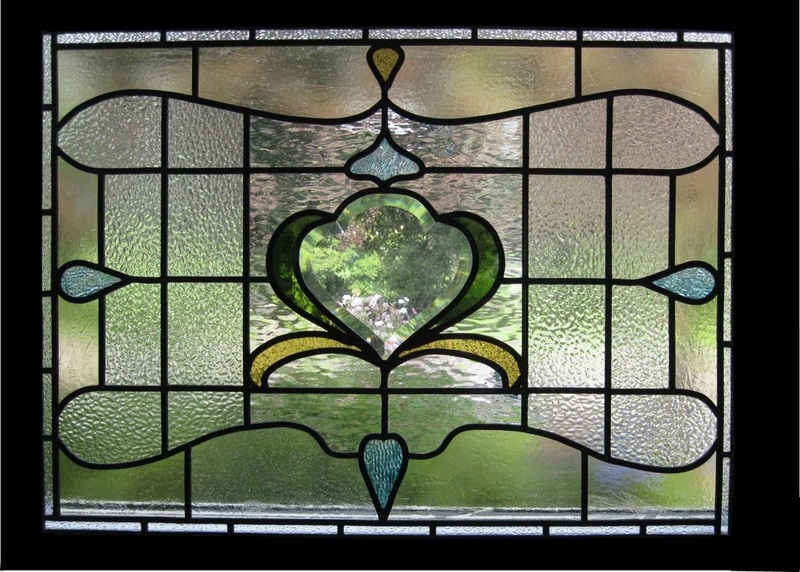 These were to bring interest to three adjacent openings between their Porch and Hallway. 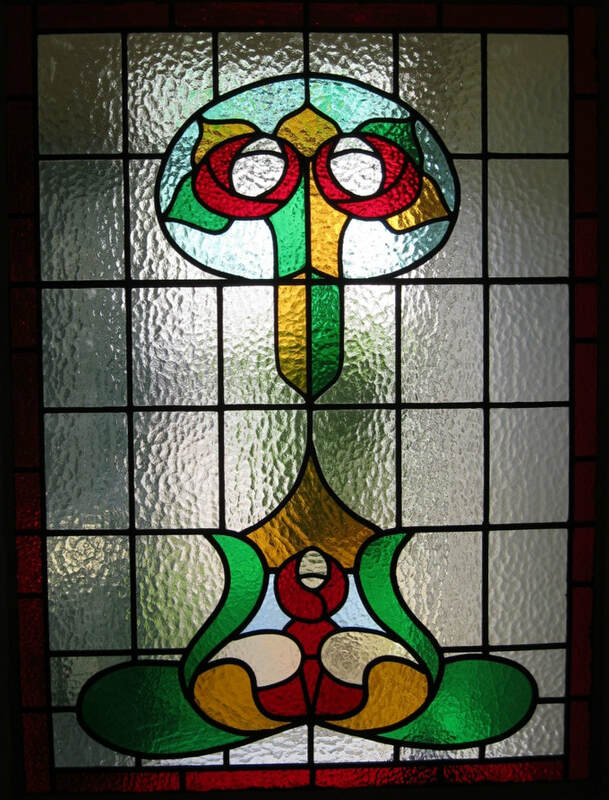 The three panels comprise a stylised view from just outside their home towards the North. The design was based on photographs. Through a number of stages discussed with our client, the photographs were evolved into the realisation below. The choice of glasses and colours were also discussed at length to evolve the final selection. This included a request from the client to change from wooded hilltops to snow capped one to add interest. The finished panels in two stages, panels and two on September the 2nd, the third panel on September 12th. The finished panels are below.